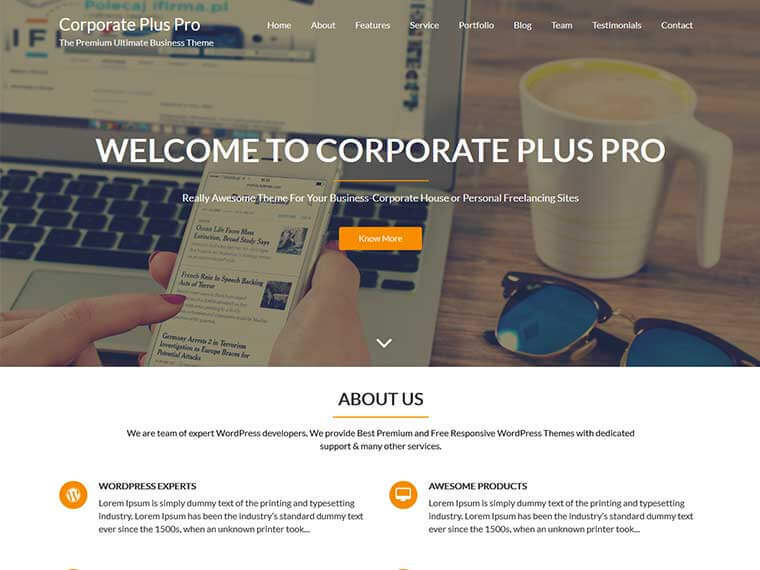 Corporate Plus Pro is a clean, responsive, professional-looking multi-purpose WordPress theme with both responsive and retina ready. Corporate Plus Pro is built for businesses, portfolios, photographers, web, or general company site to promote your services as well as suitable for any type of houses, corporate offices, personal blogging sites etc. It offers a massive roster of features, implemented in order to improve and complement any website. This theme have one click demo import, which help to make the site easily like the demo. Corporate plus Pro theme is also one page ready theme, you can easily design this theme on one page sites too. It includes unique slider section, about section, service section, parallax section, blog section, contact section, skill section, portfolio section, Map section, team section etc. This theme is fully widgetized, so it is easier to operate. Corporate Plus Pro is translation ready theme, you can change the theme on your own language. A SEO friendly theme with WooCommerce compatible. It is light weight theme with highly customizable theme customizer. With its advanced setting, you can control featured section, homepage, sidebar, inner pages, colors and almost everything you see in demo. You have full control over header setting and footer section. You can change whole site color with every section options. With the custom CSS and custom background image option, you can further customize your site. In the single post, you can show-hide related posts. Also with extra theme options, you can add breadcrumb and search placeholder. The theme comes with reset options too. Numbers of widgets are available for managing your sites. 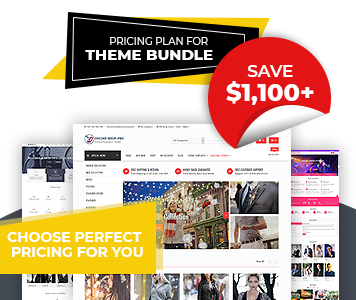 We highly recommend you this theme. This theme have multiple options to manage the slider image i.e. Full Screen slider and Responsive slider. Corporate Plus Pro is really awesome theme because this theme comes with demo data, recent updated features and updated code library. Footer section comes with your own copyright text, powered by text and Social Icons. Manage footer section easily from customizer. Sidebar options with left, right, no sidebar and both sidebar also feature image display options in blog and archive pages. Lots of color options are available on this theme. You can change the color of each entity through color options like header color, footer color, link color, primary color etc. Slider comes with text slider and full slider. You can make slider with page, category, post or custom slider. Its easy to disable slider too. Lots of slider options are available to make the slider as your need. Third party slider can easily included on theme. You can use a intro loader image with background color. You can set the button design rounded and rectangle on Button and Category links. Set a default sidebar layout for your website. Left sidebar, right sidebar and no sidebar, both sidebar are available options. You can manage the Blog/Archive layout with left image and no image. Featured section comes with a go down arrow. You can use is arrow for quick go down on typical section of homepage. Home page and inner pages comes with awesome effect that attracts your visitors. You can easily disable this features on single click.